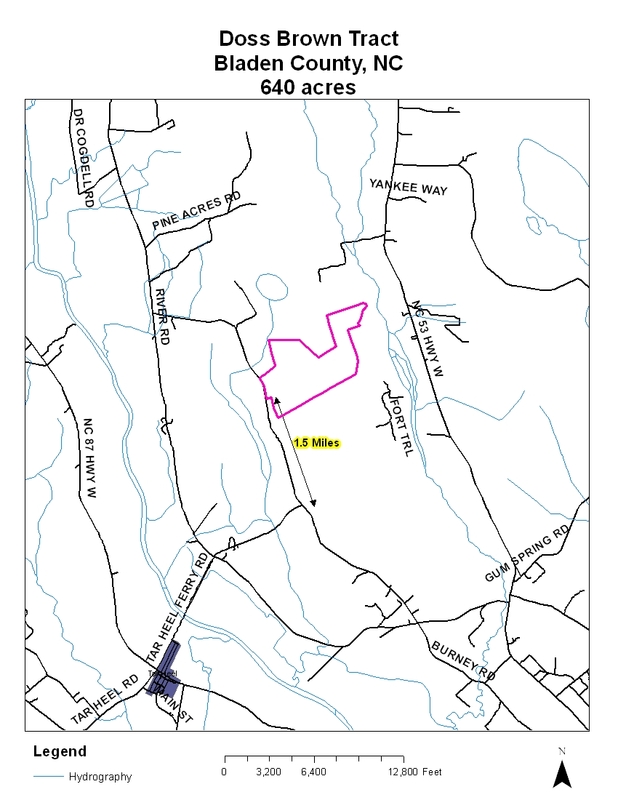 This property consists of 640 acres in Bladen County. The tract has an entrance point via Burney Rd., and has an abundance of wild game, including deer, bear and turkey. 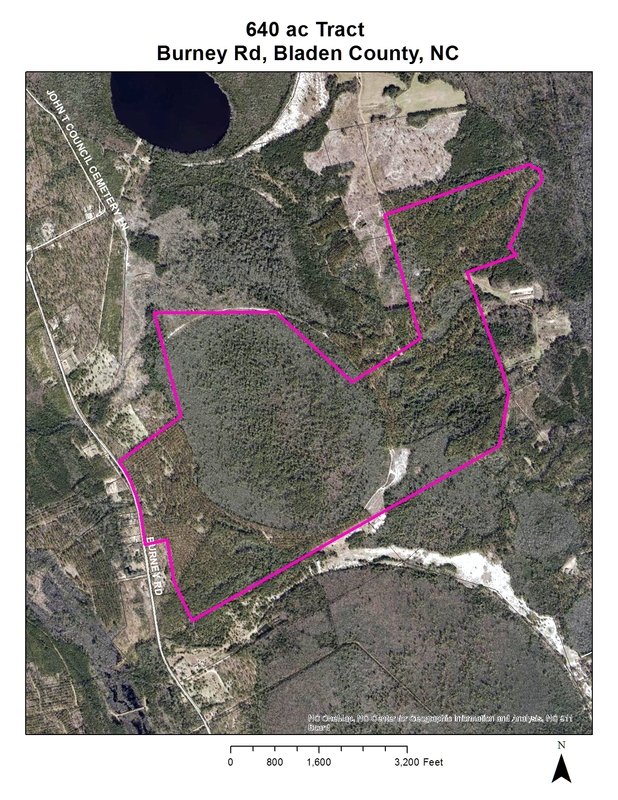 This tract is adjacent to privateer farms land. The tract is 100% woodland with multiple lanes cut out for deer hunting.